This one-of-a-kind hotel has more to offer than just year-round sunny weather. 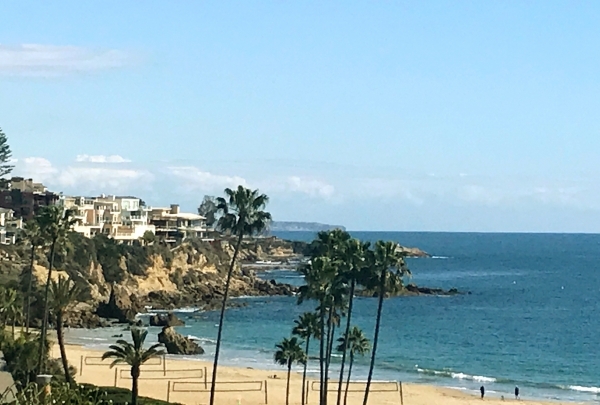 Often featured in movies and TV shows, Newport Beach has that sun-bleached SoCal aesthetic that makes it a magnet for beach bums and travelers alike. It’s not hard to see why, with near constant pristine weather and an abundance of things to do. Say hello to our Navigator for neighborhood recommendations or enjoy the vibe from the comfort of the hotel. Whether it’s a game of tennis, a dip in the rooftop pool, or lunch with a view of the Pacific, we’ve got you covered. Relax and find your inner zen as you glide on some of the calmest waters while standup paddle boarding in the Back Bay. 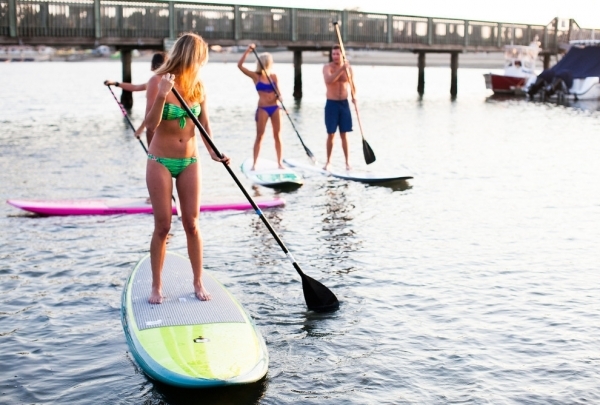 Experience standup paddle boarding in the calm waters of Newport's Back Bay. No need to make a reservation as Pirate Coast Paddle Company has plenty of boards on hand. First timers will receive a complimentary on-shore tutorial but private lessons are available too. Feeling adventurous? Try yoga on the water or one of their SUP Glow Night Tours! For wine country dining at its finest, head to OLEA where the food and drinks at this lively bistro are sure to delight. With offerings ranging from wild caught Pacific sea bass and sweet corn and roasted garlic agnolotti to their signature Meyer lemon and honey duck wings, OLEA knocks each and every dish out of the park. 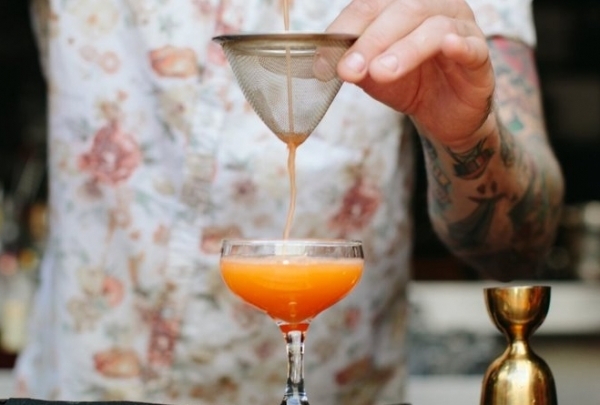 An array of interesting cocktails round out the experience at this chic Newport Beach hotspot. Sip the prettiest (and tastiest!) 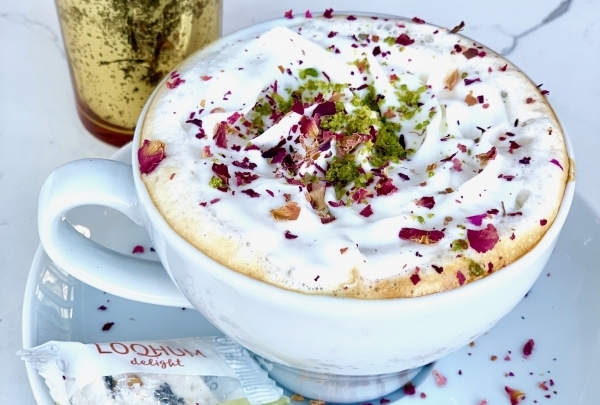 lattes in town while noshing on selections from a menu full of Mediterranean flavors. This European-inspired haven will transport you to Europe complete with the red phone booth and energetic city vibe. Sip imported coffees alongside beautiful pastries and delicious dishes with a Mediterranean flair. All meat products are Halal. Shop for all natural, vegan makeup and skincare. 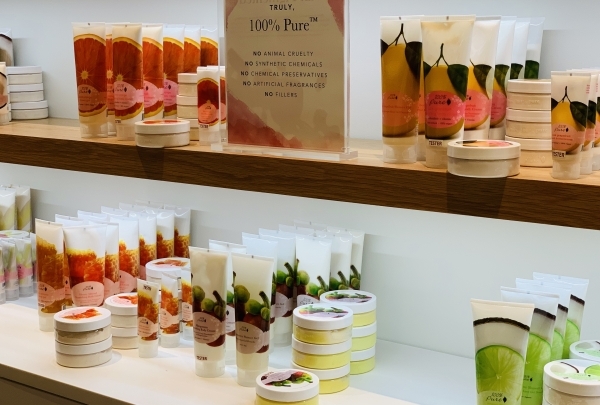 Vegans and those with sensitive skin favor this boutique for the natural products including fruit dyed makeup, as well as, gentle skin, hair and body care. Make an appointment for one of their pampering facials while you're there! Step up to this lively bar inside the indoor-outdoor gourmet food hall TRADE to mingle with the locals. 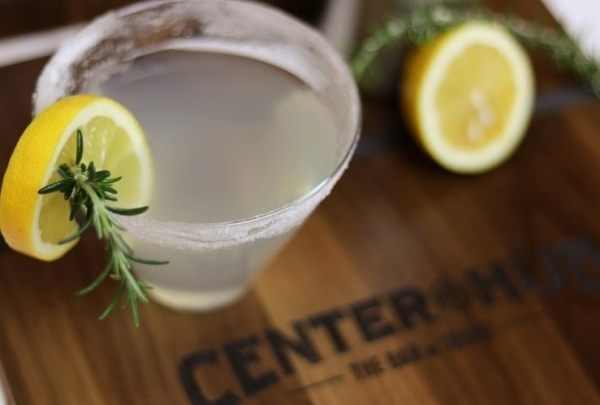 Located at the center of Irvine's only food hall TRADE and within walking distance from the hotel, Center Hub Bar sets the tone for the ambiance of this local gathering spot. Select from modern cocktails, several craft beers and interesting wines while you relax and make new friends. Take advantage of their happy hour from 3-6pm Monday through Friday and until 2pm Saturday and Sunday. Pick up these whimsical macarons in to-die-for flavors to give as gifts when you return home. 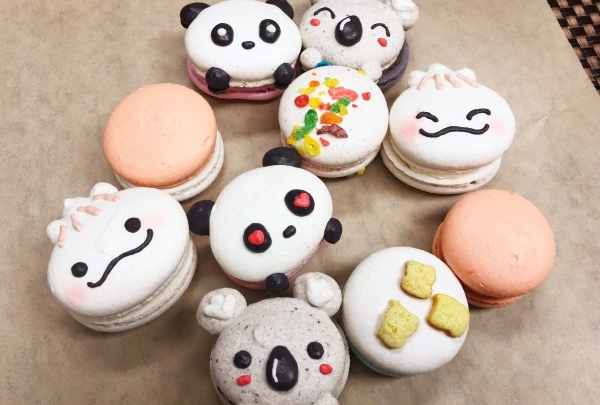 With flavors such as French Toast Crunch, Fruity Pebbles, Churro and Cookie Butter, you'll want to buy to some of these thoughtfully-created macarons to gift to family and friends back home. If you arrive soon after the shop opens, you will have access to the neatly, handcrafted creations inspired by Hello Kitty, Star Wars and other pop culture icons. Soak up the sunshine at this large, sandy beach surrounded by beautiful homes in the charming neighborhood of CdM. Spend the day basking in the sun at this neighborhood beach with volleyball, full amenities and convenient parking. 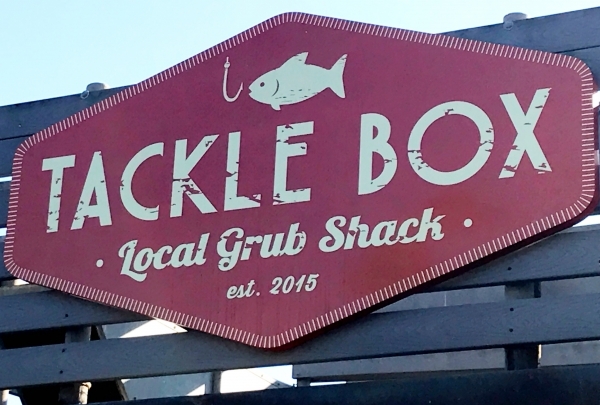 Grab breakfast or lunch at the seaside local grub shack, Tacklebox for poke, clam chowder or their coveted Maine lobster roll. Relax in the covered terrace while you relish tasty, small plates from Chef Ross Pangilinan. With a focus on small plates, take advantage of the opportunity to try various dishes highlighting French, Italian and modern Filipino cuisine. 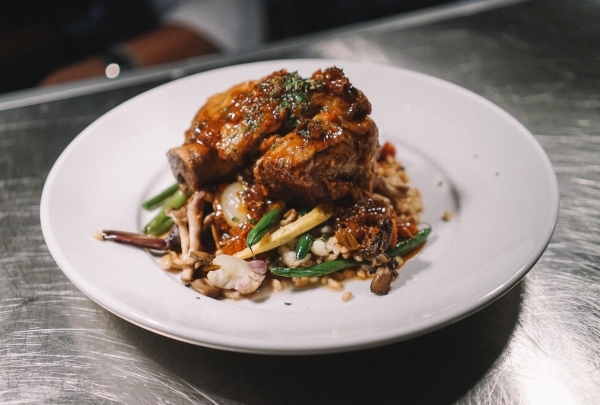 You'll find that each dish somehow surpasses the last as you savor every last bite. Order the albacore tostado for a taste of heaven! Just steps from the hotel, you'll find soul-satisfying comfort food at with cocktails, beer and 300+ bottles of whiskey. 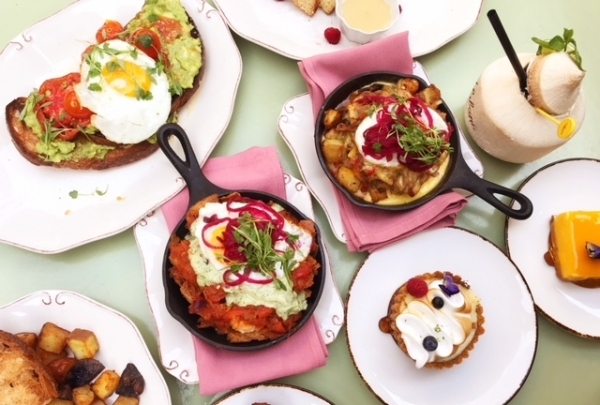 This neighborhood favorite is a hit with the locals for their weekend brunch, served up with a DJ spinning groovy tracks alongside dishes like fruity pebbles French toast and short rib chilaquiles. Sip handcrafted cocktails in a contemporary lounge setting with an energetic vibe. Imbibe with imaginative cocktails such as The Clash, an explosion of sweet, sour and spicy flavors at the lively bar and indulge in bites while taking in the nightly music scene ranging from jazz to house to R&B and hip-hop. With a collection of local art and movie screenings, this restaurant/lounge offers all of the ingredients to keep you entertained. Stroll the harborside pedestrian-friendly shopping village outfitted with a variety of interesting shops and eateries. Experience this beachy outdoor shopping area filled with coastal-inspired boutiques and waterside dining options. With selections fitting for women, men, children, pets and home, there's something for everyone here. Favorite stops include Bixby and Ball, Charlie and Me and Lido Bottle Works. If you want to get outdoors and explore, rent a bike, kayak or paddle board from SportsRents on Balboa Island. 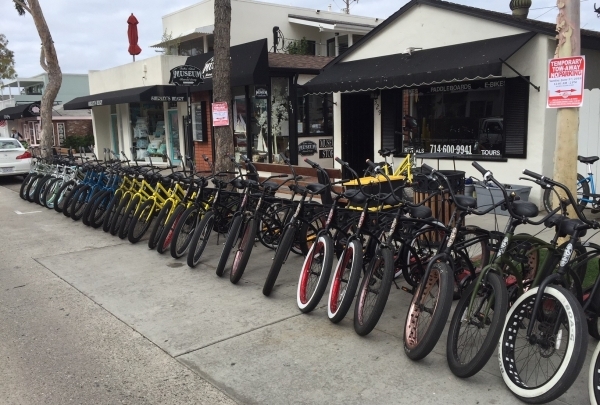 Conveniently located on Balboa Island, SportsRents offers both regular and electric bikes, golf, kayak and paddle board rentals in addition to daily bike tours from Balboa Island and kayak and paddle board tours of the Newport Harbor, with a lesson included. 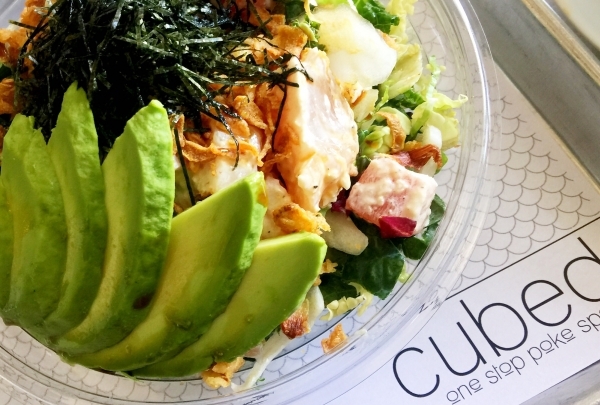 Offering premium fish and Hawaiian specialties, Cubed Poke ups the poke craze stakes with creative combinations. With selections such as sea urchin, wild salmon, soft shell crab, octopus, yellowtail and tuna, plus spam musubi, house made sauces adapted from family recipes and Hawaiian craft beers, Cubed Poke serves up elevated poke bowls and more, bringing a taste of Hawaii to OC. 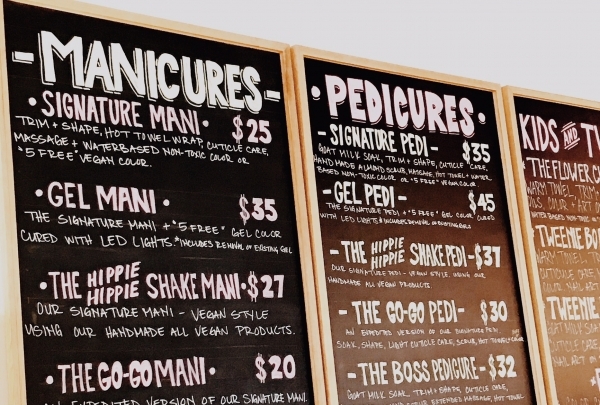 Pamper yourself with an organic, non-toxic manicure and pedicure. Without compromising any luxuries, Lollipop Nail Studio provides eco-friendly nail services while utilizing organic and non-toxic ingredients. Delight in handmade scrubs while relaxing in an environment filled with aromatherapy as you soak your hands and feet to get the royal treatment. Top-notch Korean barbeque that is worth the wait! 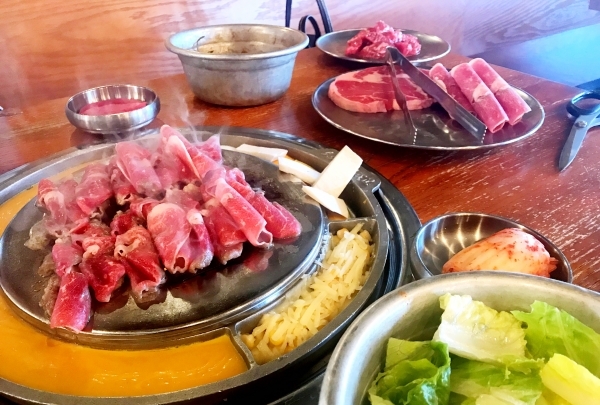 If you are craving Korean bbq, Kang Ho Dong Baekjeong is your place! Plan to arrive either right when they open or during off-peak hours to avoid the long lines, but after dining here, you'll understand the hype. 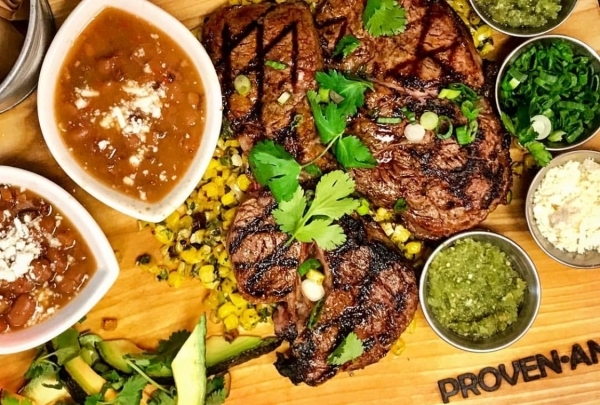 Serving the highest quality meats (short rib that melts in your mouth), this establishment delivers delectable bbq dishes and you'll appreciate that the servers do the cooking for you. 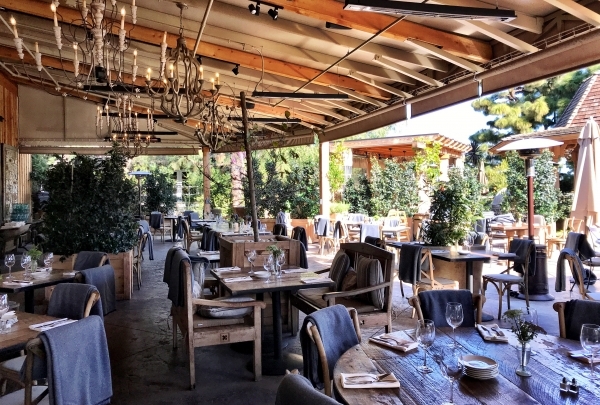 Experience farm-to-table dining within Newport Beach's beautiful Roger's Gardens. Enter this haven tucked in the middle of 7 acres of Newport's gorgeous Roger's Gardens. The open air café lends an escape from the everyday hustle and bustle and begs you to unwind, relax and indulge in seasonal dishes while sipping artisan refreshments. Favorites include height-of-the-season salads and any of Chef Mead's seafood dishes. 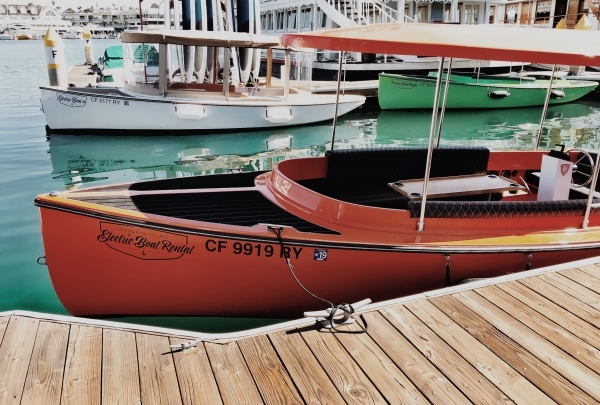 Cruise the waters in style by renting an electric boat in Newport Harbor. Take in the view from the water with one of these easily controlled, snazzy electric boats that can accommodate up to 10 passengers. There are luxurious interiors and Bluetooth stereos for your leisurely tour, and you are welcome to pack nibbles from one of the nearby cafes to make your cruise around the harbor even more enjoyable. Need your caffeine fix? Visit this cozy organic coffee house with a boho-vibe for a sweet escape from the daily hustle. 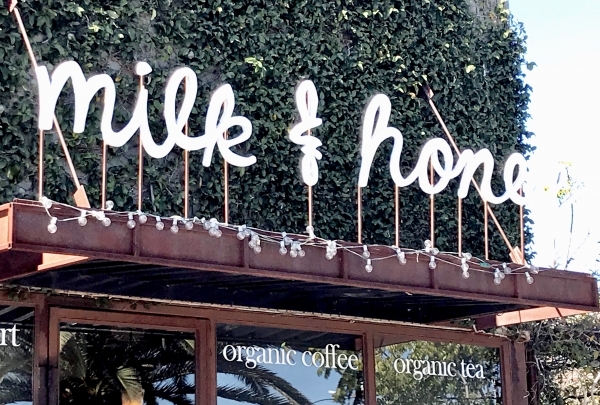 Milk + Honey serves up organic coffee in creative concoctions such as their signature lavender or vanilla chai lattes. Sip one of their creations while enjoying the ambiance of their charming outdoor patio. Escape to Paris when you enter this authentic French bistro in the heart of Newport Beach. 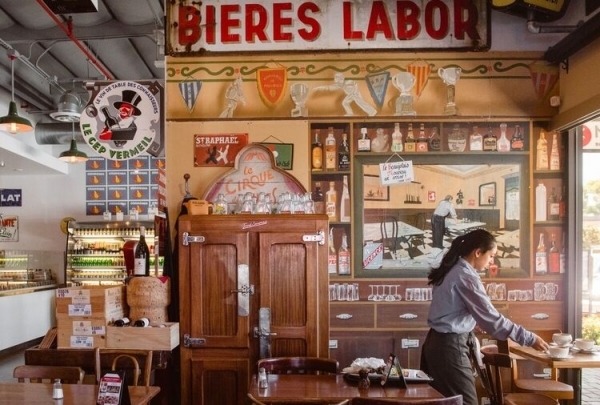 Proprietor Laurent Vrignaud transports you to France, providing a Parisian experience at his bustling neighborhood bistro. Enjoy a selection of fresh baked pastries, charcuterie, rotisserie chickens, and a variety of cheeses in addition to an array of prepared foods, perfect for a picnic on the beach. For the ultimate French dish, try the Le Croque Monsier. Book lovers of all ages will appreciate the independent book-store filled with mysteries, sci-fi, best sellers and more. 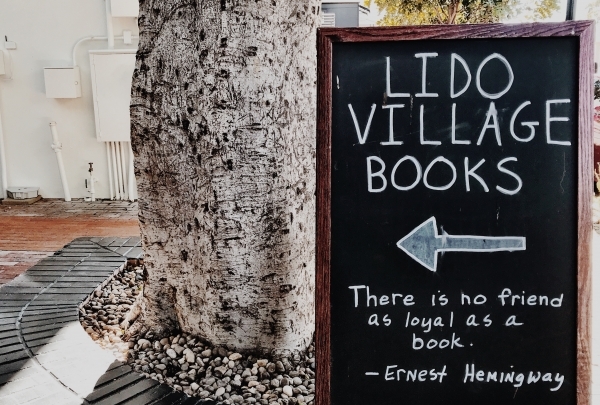 Husband and wife retired high school English teachers are at the helm of this adorable, independent bookstore and offer all the best reads whether you are partial to classic novels or the latest releases to hit the press. Don't miss the selection of difficult to find international magazines. 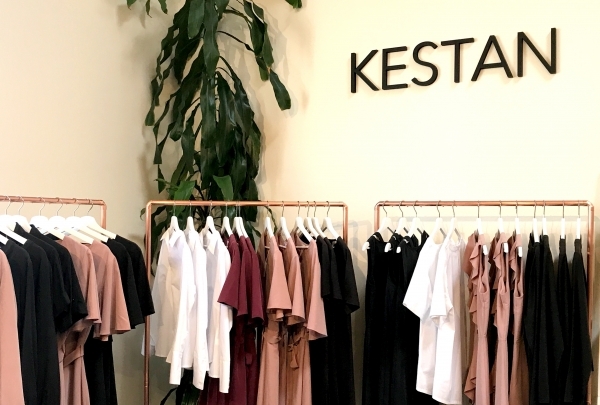 Combining minimalist, fluid lines with organic fibers, Kestan brings chic wardrobe styles to the modern woman. Focusing on ethical production and utilizing eco-fibers and regenerated fibers, the brother and sister duo at Kestan offer sleek, sophisticated silhouettes for women who want to look effortlessly well-dressed whether at the office or out-and-about around town. For a real treat, book a personal styling session with the cofounder/designer, Stephanie Lin. 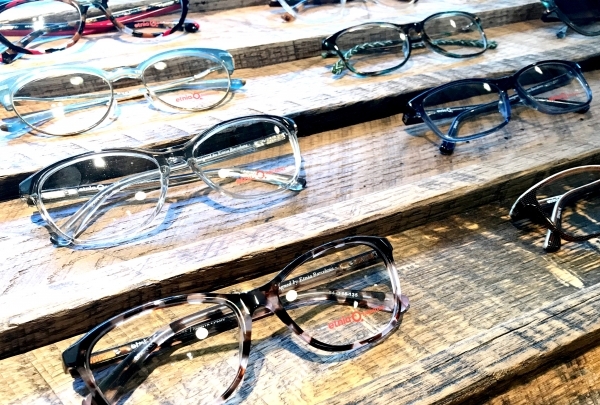 For specialty specs, you'll want to check out the curated collection of their hard-to-find eyewear at Van Brunt Optical. With a carefully selected array of eyewear that exudes design, architecture and art, owners Laura and Jessica offer unique, handcrafted styles, many of which are not available elsewhere, and love helping their customers find the perfect pair of glasses to frame their face. 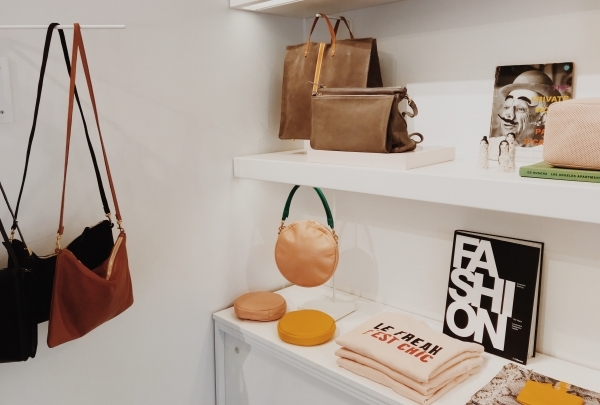 Shop for Parisian-inspired leather goods and accessories made locally in Los Angeles. Those in the know collect the soft-as-butter handbags and accessories from Clare V., a French-inspired shop who will personalize your purchases with a classic monogram. 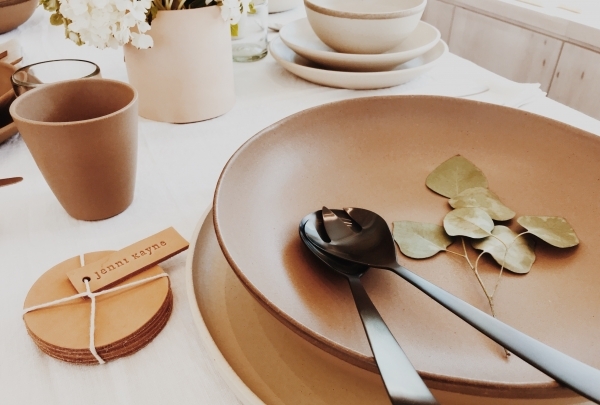 Pick up handmade in Los Angeles, minimalist tabletop essentials from California designer Jenni Kayne. Known for her effortlessly-chic clothing, designer Jenni Kayne has collaborated with Los Angeles-basedartist Victoria Morris to design this exquisite tabletop collection. The understated pieces at this store elevate any tablescape yet are perfect for everyday use. For the absolute best Xiao long bao (soup dumplings) around, Din Tai Fung is a must-do. 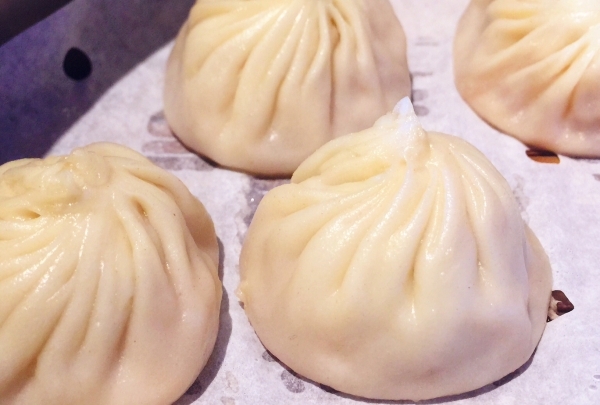 There's something about eating juicy soup dumplings that brings a feeling of comfort and Din Tai Fung serves some of the best Xiao long bao in Orange County. Watch the chefs in the kitchen as they hand make these mouthfuls of deliciousness in lightening speed. There's typically a long wait to be seated but provide the host with your contact info and you'll be texted once your table is ready. Savor a menu of global cuisine combining modern Filipino flavors with French cooking techniques. Chef Ross Pangilinan amalgamates French, Italian and Filipino cuisines with global twists at the Mix Mix Kitchen Bar. A casual setting with no pretentious attitudes here plus you'll dig the wide variety of upbeat music on the playlist. Don't miss Chef's pork cheek adobo or tropical verrine, his take on the classic Filipinio halo halo dessert. 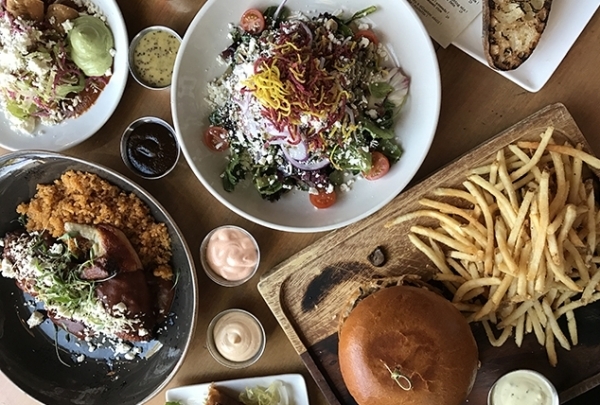 Indulge in casual comfort food at this beach grub shack right at the entrance to Corona del Mar State Beach. 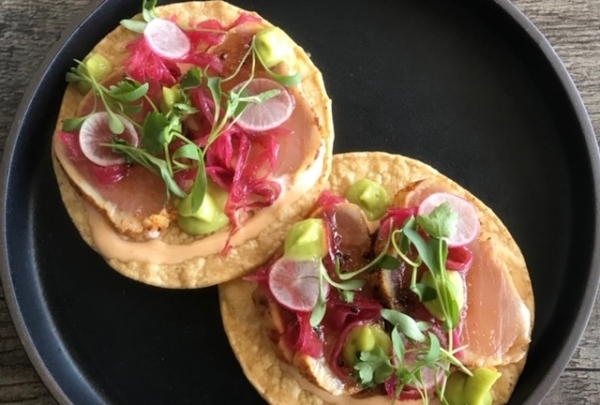 Right on the sand's edge of Corona del Mar State Beach, Top Chef alumnus Brian Huskey serves delectable seafood dishes using fresh, local ingredients. Try the breakfast burrito, a bowl of clam chowder or fresh poke. On Saturday and Sunday, arrive early in the day to be sure to score the limited availability, mouthwatering Maine lobster roll! 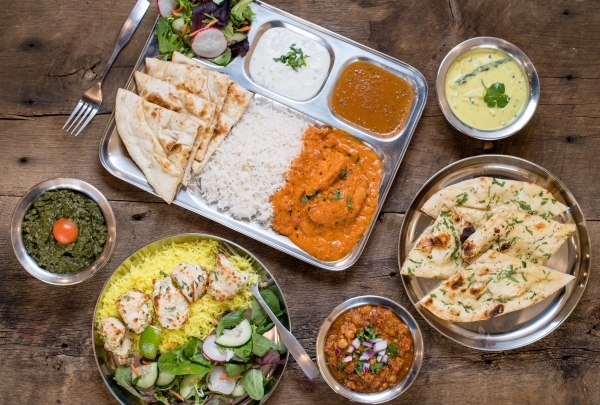 Indian street food favorites such as kebabs, kaatha rolls, curries and more can be found at this fast-casual spot. Chef Shachi Mehra uses the best local ingredients to bring you the flavorful specialties from her Indian heritage. Combining inventive, modern cooking with classic Indian techniques, ADYA showcases the best of Indian street food in a casual, relaxed setting. Be transported to Havana, Cuba as you step inside this airy enclave of retro décor to dine on Latin-inspired cuisine. Whether you choose to visit for breakfast, lunch, dinner or Sunday brunch, you'll find scrumptious offerings such as rum custard-soaked brioche that has been crusted with cornflakes and served with guava jam or the savory ropa vieja with plantains. On Sundays, their buffet brunch is one of the best around featuring an endless chilled shellfish station. This indie coffee house serves a variety of coffees and teas alongside tasty toasts such as avocado, ricotta or matcha crème brulee in a minimalist, modern setting. 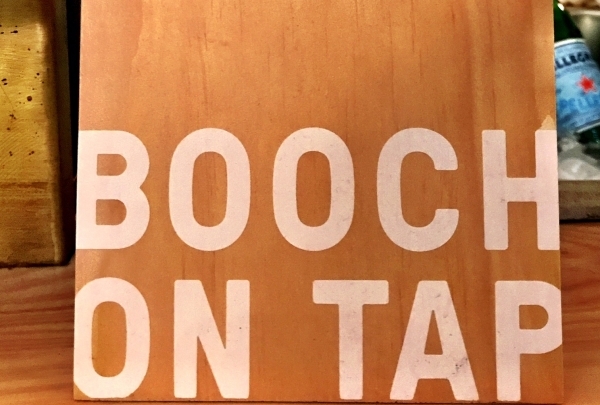 Try their kombucha on tap, which is locally made in Orange. This former bookstore is now a local pub serving elevated bites and creative cocktails in hip downtown Santa Ana. Keeping the literary theme throughout this local pub's decor, Chef Jason Montelibano aims to provide the beginning of a great story for diners by putting his own spin on traditional dishes and introducing unique flavor combinations. Experience creative fare such as his signature Sigsig Fries featuring pulled pork, pig ears, pork belly, pig jowl, citrus sour cream, fried egg and duck fat fries. Local surfers and skaters flock to this neighborhood deli for sandwiches and more for good eats and a chill vibe. 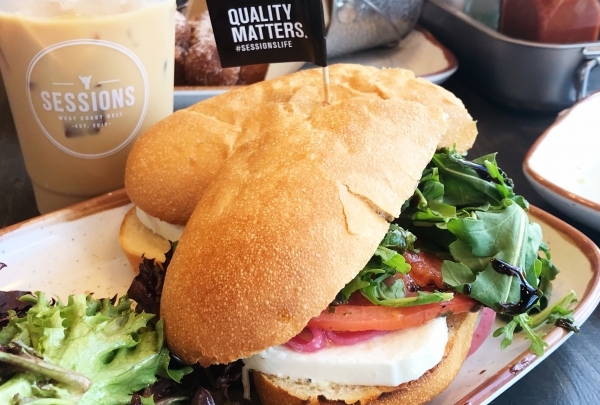 For insanely good sandwiches such as the Summer Zephyr, with marinated tomatoes and fresh mozzarella (pictured), salads, soups and even fried chicken tenders with donuts, visit this specialty deli that uses locally grown produce, artisan bread and house made sauces. 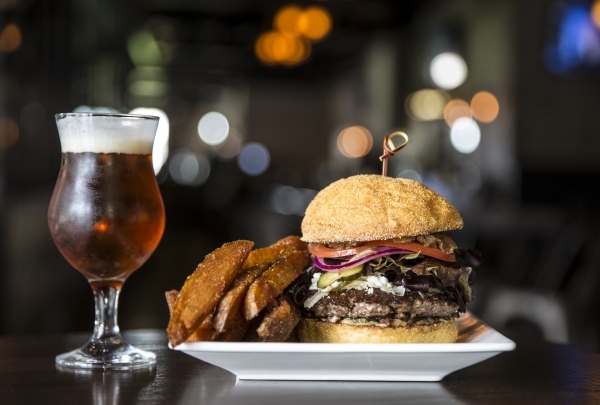 Complement your meal with locally roasted coffee, craft beers and small batch wines. With a menu based on the on-site garden's offerings, experience seasonal, contemporary California cuisine at its best. One of the newest burger joints to open up in OC is also one of the best and lucky for you it is just minutes away! Who doesn't love a good burger? 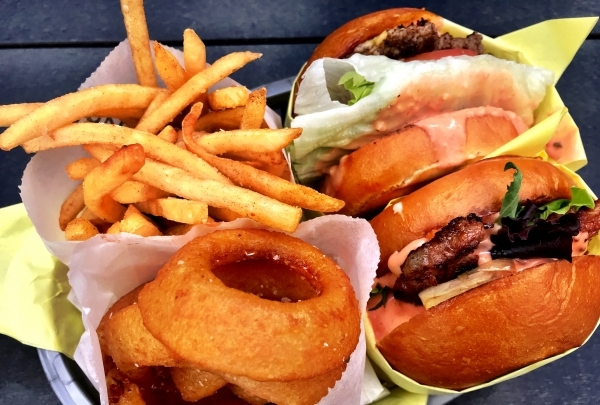 Savor one of the burgers from Ground House; whether it is their classic Basic Burger or their Ono Burger (Hawaiian-style with teriyaki-glazed pineapple), you can't go wrong and the fries and onion rings are spot on. Vegans can indulge as well with the Basic Beyond Burger, which is 100% vegan. Find a hand-picked collection of women's apparel ranging from trendy silhouettes to basics while updating your wardrobe. 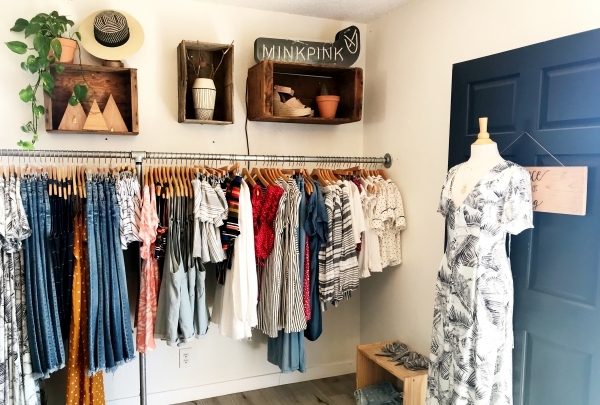 Tucked in an adorable bungalow in the heart of Costa Mesa, this women's boutique and hair salon under one roof offer boho-chic apparel and accessories exuding California coastal style. The full-service salon provides services for hair, lashes, brows, and tanning. If you are looking to update your hair style, color or just a blowout, look no further than North Salon. 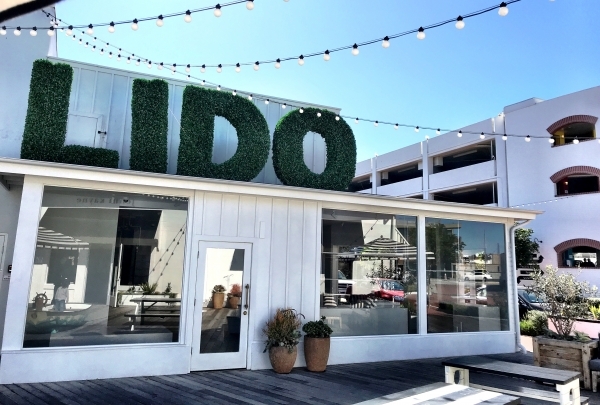 Offering everything from hair coloring, cutting and extensions to lashes, microblading and makeup applications, this uber chic haven in Corona del Mar will help you achieve your beauty goals. Book a table at this neighborhood restaurant if you want scrumptious dishes served alongside creative cocktails. 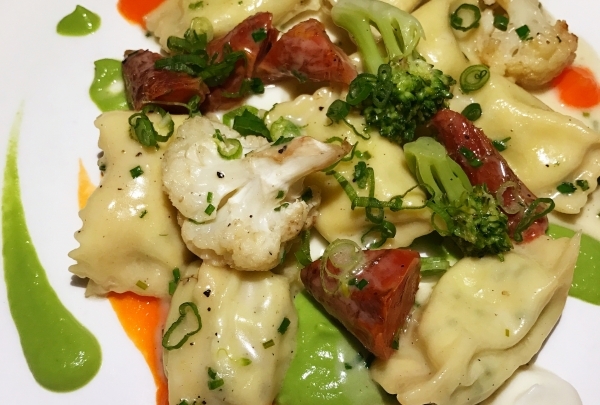 Feel good about dining at Andrei's as they not only use the best organic ingredients but also donate 100% of profits to The Andrei Foundation, benefiting several charities. 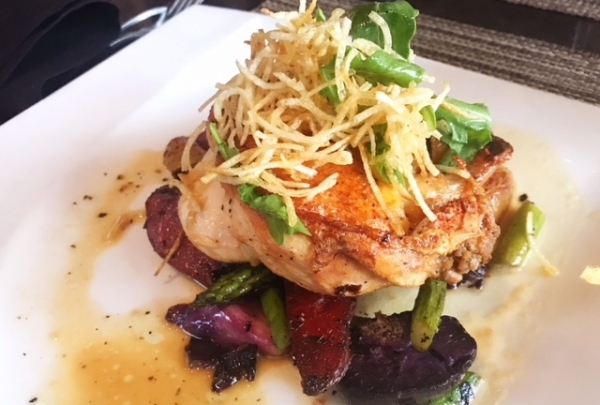 Favorite dishes include their wild-caught, miso-glazed Lingcod with Basmati rice and spinach and their roasted chicken with potatoes, cabbage and asparagus. Hailed as 2018's restaurant of the year by The Los Angeles Times, Taco Maria delivers mouth-watering tacos and more. Chef Carlos Salgado's tacos delight diners from near and far with unique combinations such as pork cheek with peaches, or shitake mushrooms with chorizo. 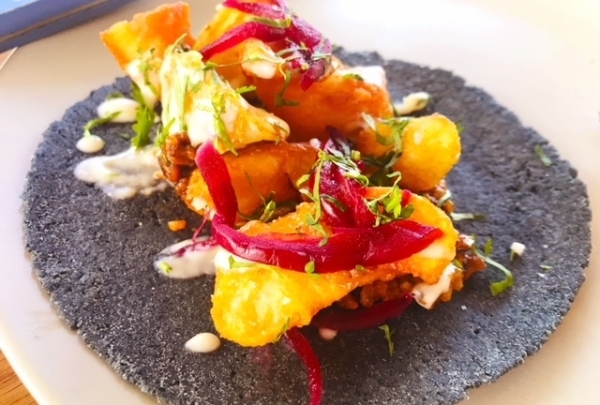 Tacos are only available at lunch while a prix-fixe dinner featuring elaborate four courses changes weekly. The au courant restaurant in Laguna Beach is Ocean at Main, where you can enjoy coastal dishes in an airy setting. 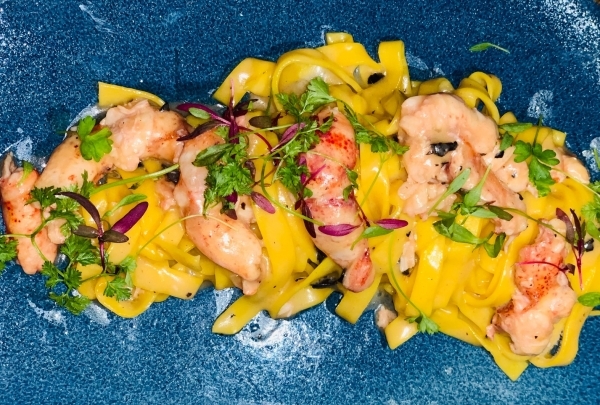 Named after its cross streets, Chef/Owner Craig Strong delights the palate with dishes showcasing coastal California cuisine such as the Pictured Lobster Fettuccine with pickled ramps and truffle butter bisque sauce. Ocean at Main is situated just a stone's throw away from Main Beach. Start celebrating National Oatmeal Cookie Day right away at check in. Receive a complimentary cookie for all Marriott Bonvoy members.